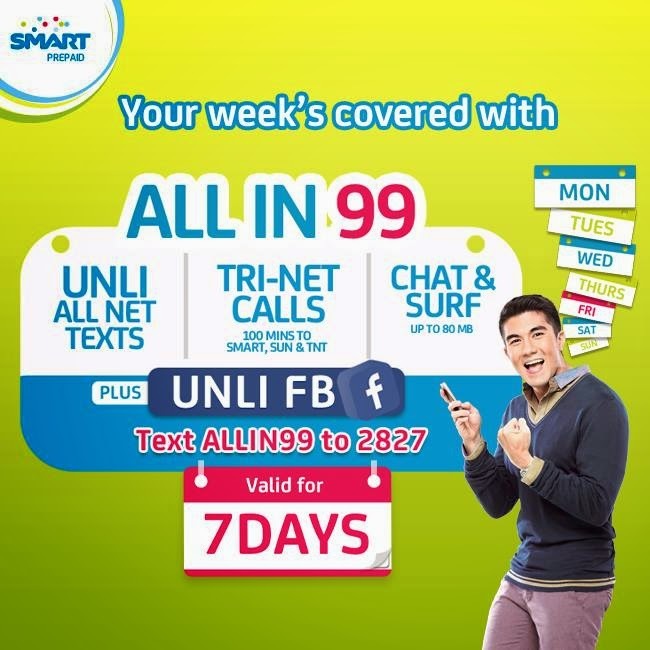 All In 99 is the newest prepaid offer from Smart. Be connected to everyone for 7 days with Unlitext to all networks, 100 minutes calls to Smart, Sun Cellular and Talk 'N Text, 80 MB data for chat and surf plus UNLI FACEBOOK for only P99! Text ALLIN99 to 2827 and be covered for 7 days!